They were outside Plaza Vista School in Irvine, where she had watched her daughter go from kindergarten to fifth grade, where any minute now the girl would be getting out of class to look for her. Parents had entrusted their own kids to Peters for years; she was the school’s PTA president and the heart of its after-school program. Now she watched as her ruin seemed to unfold before her. 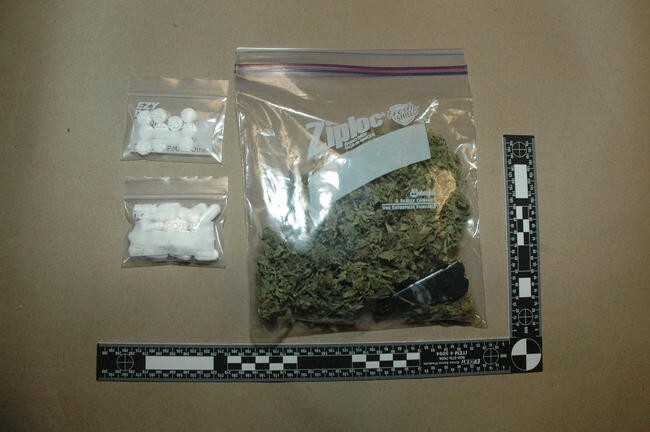 Watched as the cop emerged from her car holding a Ziploc bag of marijuana, 17 grams worth, plus a ceramic pot pipe, plus two smaller EZY Dose Pill Pouch baggies, one with 11 Percocet pills, another with 29 Vicodin. It was enough to send her to jail, and more than enough to destroy her name. Her legs buckled and she was on her knees, shaking violently and sobbing and insisting the drugs were not hers. The cop, a 22-year veteran, had found drugs on many people, in many settings. When caught, they always lied. Peters had been doing what she always did on a Wednesday afternoon, trying to stay on top of a hundred small emergencies. She was 49, with short blond hair and a slightly bohemian air. As the volunteer director of the Afterschool Classroom Enrichment program at Plaza Vista, she was a constant presence on campus, whirling down the halls in flip-flops and bright sundresses, a peace-sign pendant hanging from her neck. If she had time between tasks, she might slip into the cartooning class to watch her 10-year-old daughter, Sydnie, as she drew. Her daughter had been her excuse to quit a high-pressure job in the mortgage industry peddling loans, which she had come to associate with the burn of acid reflux. No matter how frenetic the pace became at school, the worst day was better than that, and often afternoons ended with a rush of kids throwing their arms around her. At 5 feet tall, she watched many of them outgrow her. Peters had spent her childhood in horse country at the foot of the San Gabriel Mountains. She tossed pizzas, turned a wrench in a skate shop, flew to Hawaii on impulse and stayed for two years. She mixed mai tais at a Newport Beach rib joint. She waited tables at a rock-n-roll-themed pasta house. A married lawyer — one of the regulars — grew infatuated with her and showed up at her house one night. He went away, but a sense of vulnerability lingered. In her mid-30s she married Bill, a towering, soft-spoken blues musician and restaurateur who made her feel calm. She spent years trying to get pregnant, and when it happened her priorities narrowed. 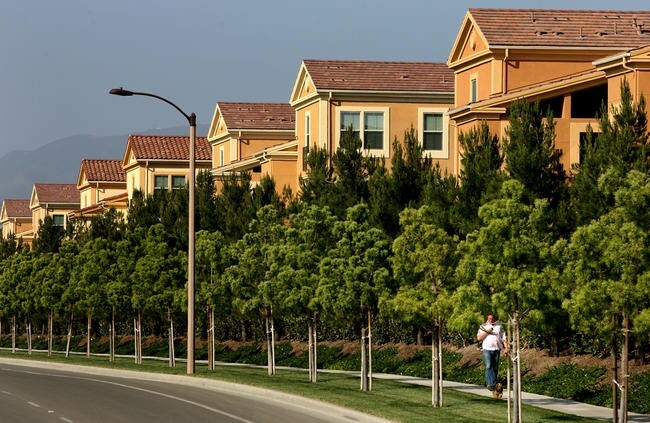 In Irvine, she found a master-planned city where bars and liquor stores, pawnshops and homeless shelters had been methodically purged, where neighborhoods were regulated by noise ordinances, lawn-length requirements and mailbox-uniformity rules. For its size, Irvine consistently ranked as America’s safest city. It was 66 square miles, with big fake lakes, 54 parks, 219,000 people, and 62,912 trees. Anxiety about crime was poured into the very curve of the streets and the layout of the parks, all conceived on drawing boards to deter lawbreaking. For all that outsiders mocked Irvine as a place of sterile uniformity, she had become comfortable in its embrace. She had been beguiled by the reputation of the schools, which boasted a 97% college-admission rate. The muted beige strip malls teemed with tutoring centers. If neighboring Newport Beach had more conspicuous flourishes of wealth, like mega-yachts and ocean-cliff mansions, the status competition in Irvine — where so many of the big houses looked pretty much alike — centered on education. Plaza Vista was a year-round public school in a coveted neighborhood, and after six years she knew the layout as well as her own kitchen. The trim campus buildings, painted to harmonize with the neighborhood earth tones, suggested a medical office-park; out back were an organic garden, a climbing wall and a well-kept athletic field fringed by big peach-colored homes. Around campus, she was the mom everyone knew. She had a natural rapport with children. She could double them over with her impression of Applejack, the plucky country gal from the “My Little Pony” TV series. She would wait with them until their parents came to pick them up from the after-school program, but she couldn’t bring herself to enforce the dollar-a-minute late fines. The school had given her a desk at the front office, which provided an up-close view of countless parental melodramas. The moms who wanted the 7th-grade math teacher fired because their kids got Bs. Or the mom who demanded a network of giant umbrellas and awnings to shield her kids from the playground sun. Smile, Peters had learned. Be polite. That afternoon — Feb. 16, 2011 — the karate teacher had texted her to say he was stuck in traffic, and would she please watch the class till he arrived? She was in the multi-purpose room, leading a cluster of tiny martial artists through their warm-up exercises, when a school administrator came in to find her. A policeman was at the front desk, asking for her by name. She ran down the hall, seized by panic. She thought it must be about her husband, who was now working as a traveling wine salesman. He was on the road all the time, and she thought he’d been in an accident, maybe killed. Officer Charles Shaver tried to calm her down. He was not here about her husband. On a normal shift, Shaver could expect to handle barking-dog calls, noisy-neighbor calls, shoplifters and car burglaries, maybe a car wreck or two. He was a sniper on the Irvine Police SWAT team, armed with cutting-edge equipment that was the envy of other departments, but had never needed to pull the trigger. He was 40, a former NCIS investigator with the Marines. He had been seven hours into an unmemorable shift when, at 1:15 p.m., a man called police to report a dangerous driver in a school parking lot. People were drifting in and out of the school with their kids, watching, as the policeman led Peters into the parking lot. His patrol car was blocking her PT Cruiser. He told her about the caller’s claim that she had been driving erratically around 1:15 p.m.
That’s impossible, she said. She had parked her car and was inside the school by then. Did she have anything in her car she shouldn’t have? Could he search her car? The drugs were easy to find. They were sticking out of the pouch behind the driver’s seat. He put them on his hood, and she begged him to put them somewhere else. Her daughter might see. Anyone might see. Someone must have planted them, she said. Sometimes, she left her car unlocked. Shaver put the drugs in his trunk and led Peters back inside the school to a conference room. He peered into her pupils and checked her pulse. He made her touch her nose. He made her walk and turn. He made her close her eyes, tilt her head up and count silently to 30. She passed all the tests. At some point her daughter arrived, as did her husband. She did not know what to tell them. Shaver could have arrested Peters. Possessing pot on school grounds was a misdemeanor. Possessing narcotics like Vicodin and Percocet without a prescription was a felony. She could do time. He could take her to the station, clock out by the end of his shift and be home in time for dinner. Instead, he kept asking questions. He was patient and alert to detail, qualities ingrained in a sharpshooter trained to lie atop a building for hours, studying a window through a rifle scope. 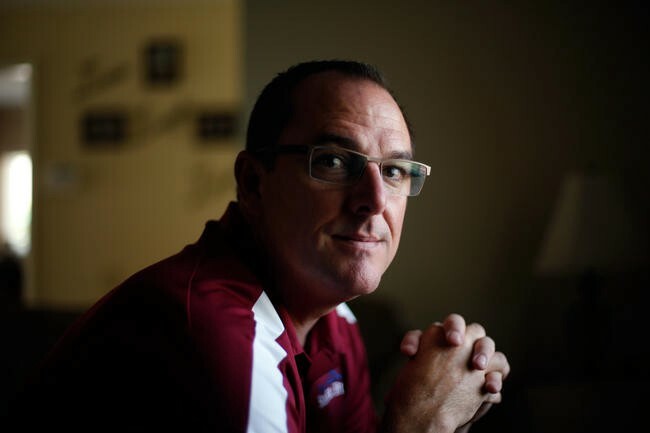 He interviewed school administrators, who confirmed what Peters had said. She had arrived at the school office around 12:40. This meant the caller, who claimed to have just seen her at 1:15 p.m., had waited 35 minutes to report her, a gap that puzzled Shaver. He tried to reach the number the caller had given. It was fake. Shaver asked Peters if he could search her apartment. She agreed, reluctantly. If someone could plant drugs in her car, why couldn’t they do the same at her apartment? She drove her PT Cruiser to her apartment about a block away, while Shaver and another officer followed. The apartment had a Jimi Hendrix print above the living room couch, and her daughter’s art hung on many of the walls. They had lived here since moving to Irvine, more than a decade back. They had found themselves consistently outbid in their attempt to buy a home. Money had been tight since she quit her job. She ran a small business called “Only 4 the Groovy,” painting tie-dyed jeans, but it didn’t pay the bills. Now they were permanent renters, a condition she didn’t much mind, though she noticed how embarrassed neighbors became when acknowledging they were apartment dwellers, not owners. “This is only temporary,” they insisted. In affluent Irvine, your relation to the real estate you inhabited was one of the invisible class lines. She watched as Shaver searched the kitchen cabinets, the bedrooms, the drawers, the couches, the patio. He was looking not just for drugs and drug paraphernalia, but for baggies that said EZY Dose Pill Pouch. He found nothing to link her to the drugs in her car. By now, the case had lost its open-and-shut feel. In Shaver’s experience, no one left a bag of pot halfway out of a seat pouch, as if begging for it to be discovered. People typically hid their drugs in the glove box, or under the car seat. 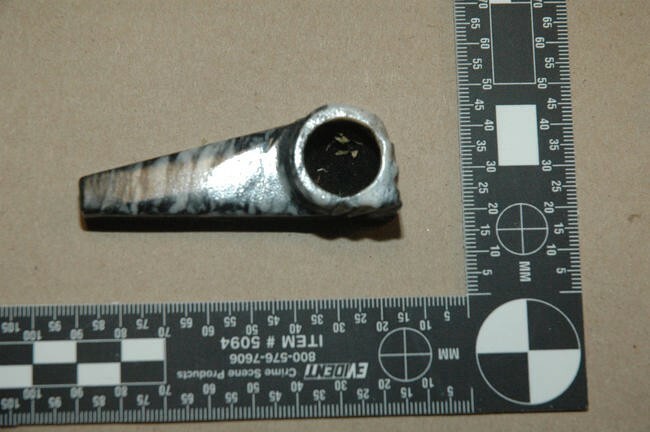 And for some reason — he didn’t know why — pot smokers didn’t typically keep their pipes inside the stash bag itself. Peters was convinced she would be spending the night in jail. But after he had finished searching the apartment, Shaver told her that he was not going to take her in. The forensics team would be coming with the long Q-tips to take cheek swabs from her and her daughter, to take their prints and to scour the Cruiser for evidence. If her DNA turned up on the drugs, she could still be charged. The next morning, Shaver sat in the police chief’s conference room surrounded by department brass and detectives, walking them through a case that had quickly seized the interest of the command staff. It seemed a much stranger scenario than a suburban mom with a pot-and-pill habit. If the drugs aren’t yours, how did they get in your car? “I have an enemy,” she said. This article appeared in print and online on August 28, 2016. Chapters 2 through 6 are available at latimes.com/framed. Times staff writer Christopher Goffard reviewed thousands of pages of records, including police reports, court exhibits, transcripts of the grand jury proceeding that led to the indictments of Kent and Jill Easter and transcripts of Kent Easter’s two criminal trials. Goffard also examined testimony in the civil trial resulting from Kelli Peters’ lawsuit and court records of the Easters’ divorce. In addition, he conducted numerous interviews with Peters, Kent Easter, prosecutor Christopher Duff and members of the Irvine Police Department, including Officer Charles Shaver and Mark Andreozzi, the lead detective on the case. Jill Easter declined to be interviewed. Credits: Lily Mihalik and Evan Wagstaff. Animations by Eben McCue.